Shmuel Feiner's innovative book recreates the historical consciousness that fired the Haskalah—the Jewish Enlightenment movement. The proponents of this movement advocated that Jews should capture the spirit of the future and take their place in wider society, but as Jews—without denying their collective identity and without denying their past. Claiming historical legitimacy for their ideology and their vision of the future, they formulated an ethos of modernity that they projected on to the universal and the Jewish past alike. What was the image of the past that the maskilim shaped? What tactics underpinned their use of history? How did their historical awareness change and develop—from the inception of the Haskalah in Germany at the time of Mendelssohn and Wessely, through the centres of Haskalah in Austria, Galicia, and Russia, to the emergence of modern nationalism in the maskilic circles in eastern Europe in the last third of the nineteenth century? 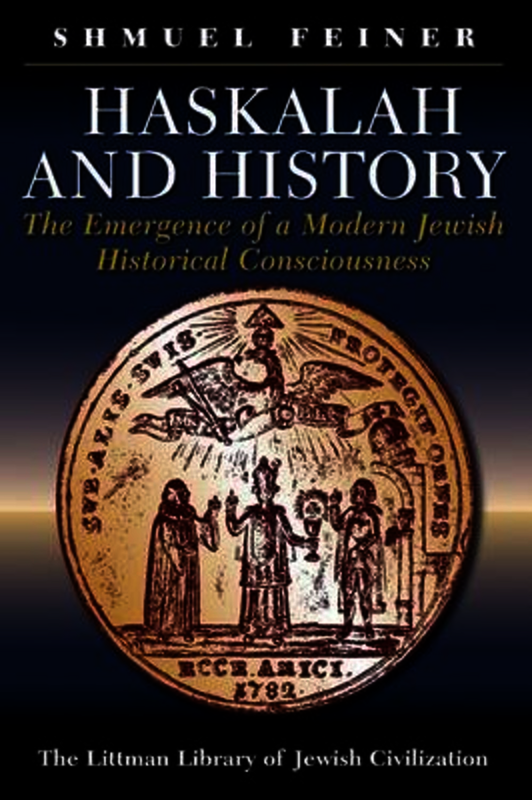 These are some of the questions raised in this fascinating exploration of an ideological approach to history which throws a searching new light on the Jewish Enlightenment movement and the emergence of Jewish historical consciousness more generally. Shmuel Feiner is Professor of Modern Jewish History at Bar- Ilan University and chairman of the Jerusalem Leo Baeck Institute. He is the author of The Jewish Enlightenment (2004), Moses Mendelssohn, Sage of Modernity (2010), and The Origins of Jewish Secularization in Eighteenth-Century Europe (2011).